Monte Carlo is one of Monaco´s most interesting towns, located on on a prominent escarpment at the base of the Maritime Alps along the French Riviera. Monte Carlo is expanding and growing toward the F-1 and gambling area, Place du Casino, of which featured in the James Bond's films "Never Say Never Again" (1983), and "Golden Eye" (1995). Monte Carlo has a name of Italian origin meaning "Mount Charles", in honor of the then-reigning prince, Charles III of Monaco. Palais du Prince (Prince's Palace) is located in old Monaco-Ville and is also a must see. The Grimaldi family has ruled from the palace since 1297. If the flag is flying over the palace, you know the Prince is in residence. Salle Garnier, The opera de Monte Carlo, which performed Saint-Saëns (Hélène, 1904); Mascagni (Amica, 1905); and Puccini (La rondine, 1917, and other 45 world premier productions of operas is also interesting place to visit. The Hotel de Paris, near the Grand Casino, has a couple of elegant restaurants. You might even run into some of the "rich and famous" if you choose to dine in the Louis XV Restaurant or Le Grill de L'Hotel de Paris there. Monte Carlo is famous for luxury yacht sightings. Same goes for car enthusiast, Ferrari, McLaren, Porche and Lamborghini in their natural habitat, Monte Carlo is the place, as it always held annual event for Formula-1 series. 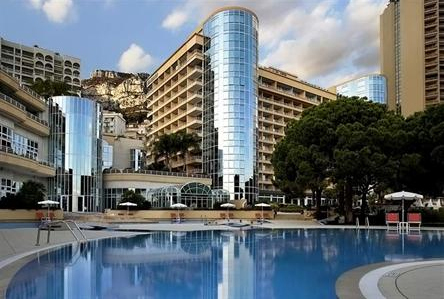 Search for discount hotels in Monte Carlo here!